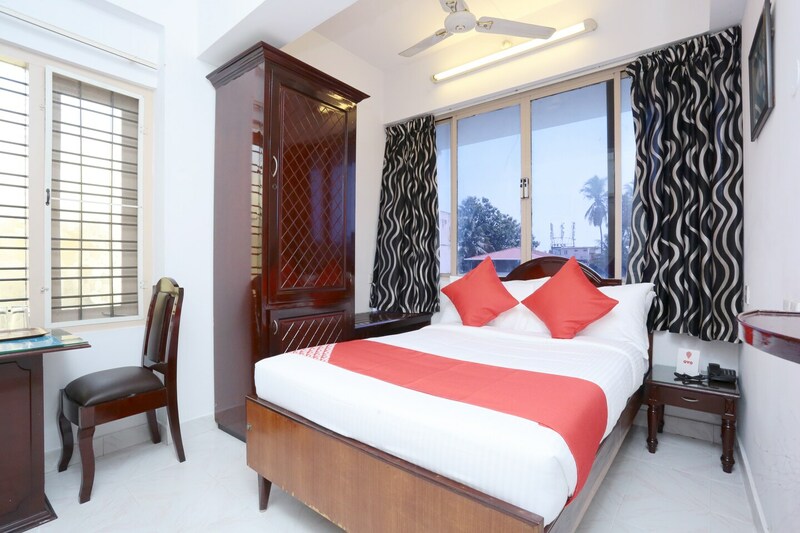 Hotel Galaxy Inn is an elegant modern hotel, situated right in the center of Trivandrum with the Thiruvananthapuram Central Railway Station being the prime landmark. With a pocket-friendly price, this place is made for comfort and easy living. The rooms are elegant, bright and welcoming with wooden furnishing enhancing the ambiance of the rooms. Windows in the room overlook the city vista and allow the room to be well ventilated making it a comfortable and cheerful place to stay. The minimal decor, bright and warm room is quite pleasing. Guests can also avail free WiFi, parking and make payments using their card. The lobby and dining area are beautifuly decked with comfortable lounge and wooden furniture. Wall painting depicting some architectural sketches and chick-blinds adds a charming elegance. Guests can easily access some local attractions from this place.